After grabbing a quick breakfast, my friends and I piled into the car. 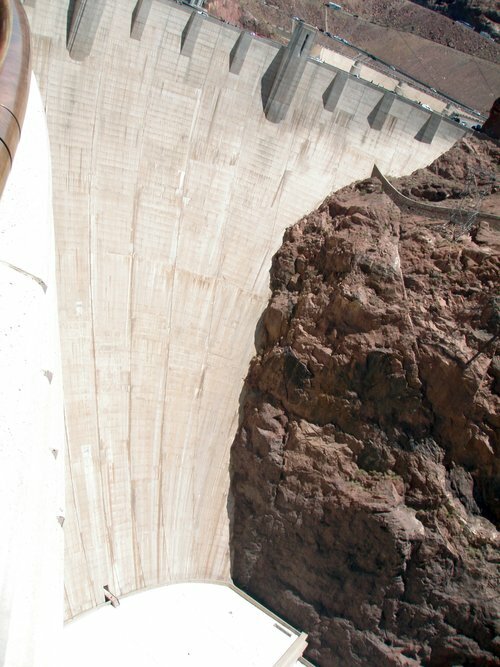 Our destination was the Hoover Dam, a short 45 minute drive from Vegas. As we drove out to the dam the married couple began to complain, well it was mostly the wife. She griped about the size of the car we had rented, the fact that she had limited money to spend because she and her husband had just gone on vacation the week prior to our Vegas trip (my fault, obviously) and she was in a pretty nit-picky mood, even harping on her husband at times. It was annoying and I was growing tired of it. We arrived to the dam early in the morning but the temperature was already reaching 110 degrees Fahrenheit (43.3 Celsius). My friends and I walked across the engineering marvel, shooting pictures down the 726 foot (221 meters) massive wall that held back Lake Mead. 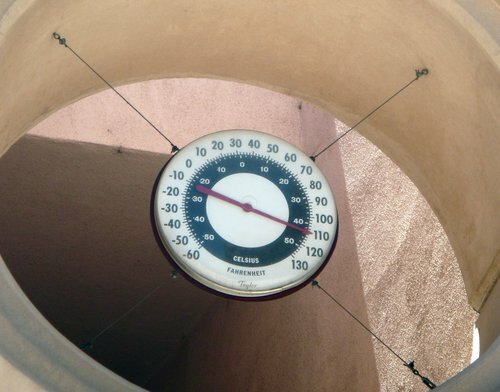 Note that it’s over 110 degrees and it’s in the shade! 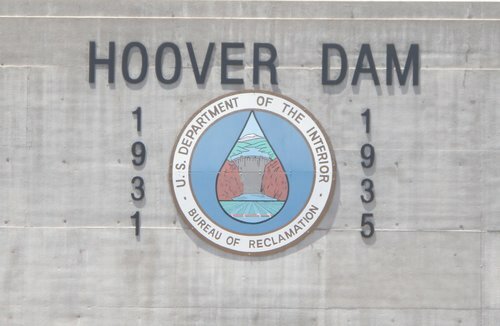 During the trip planning process I had expressed interest in going on the Hoover dam tour (I’m always up for a dam tour). There were two different tours, a 30 minute and an 1 hour tour. Now we were at the dam I sensed that the married couple had no interest in the dam tour. My friend Amy had also seemed uninterested – however unlike the married couple, she politely mentioned she would skip the tour. I began to think that I was not going on dam tour as I did not want to be so selfish that I made everyone wait for me while I was touring the dam. As the married couple continued to complain about the tour my friend Laura walked off. I was left with the married couple which obviously I was pleased about. I told them that was fine that we skipped the tour and I began to look for Laura. Oddly enough I found her in line for the tour. I can only assume she had also grown tired of the complaining and knew the dam tour was important to me. I asked her what she was doing and she simply responded “we’re going on the dam tour” (or perhaps it was the damn tour by that point). Apparently the married couple could wait in the 100+ degrees. Laura and I decided to not be overly rude by forcing the fact that we were taking the tour so we took the 30 minute tour. The tour consisted of a informative video and an elevator ride that took us 530 feet down into inside of the dam. We viewed the 30 foot diameter pipes which carry around 90,000 gallons of water each second charging the hydroelectric generators. We then took another elevator to visit the powerhouse room which consisted of 17 generators. I think the most fascinating part of the tour was finding out that the concrete is still curing to this day. Not really shocking as the base of the dam is 660 feet wide (202 meters). Built in 1937, it did not surprise me that it would take some drying time… although 73 years was an impressive amount of time. After the completion of the tour, Laura and I headed back out into the heat and located the rest of our group. As we walked back to the parking garage I rubbed the feet of the bronze winged figures, supposedly rubbing their feet brings good luck. Hopefully the rest of our trip to The Grand Canyon West would go better. 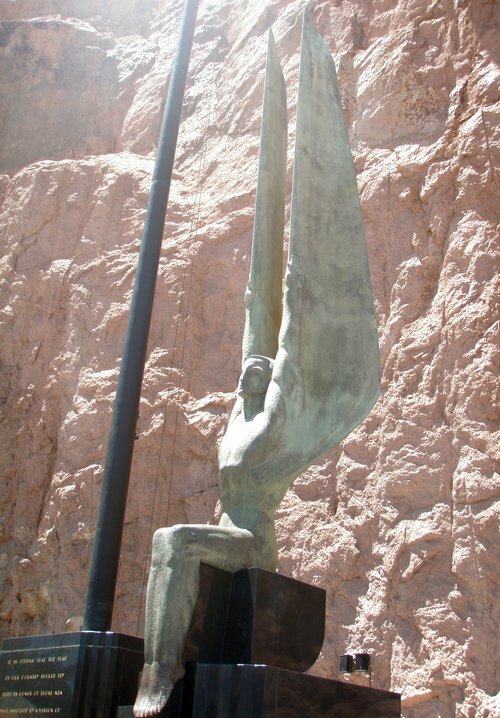 For anyone interested in visiting the Hoover Dam it is located 30 miles southeast of Vegas on Nevada Highway 93. They are open daily from 9am to 6pm with tours running 9am to 5:15pm in the summer and to 4:15pm in the winter. 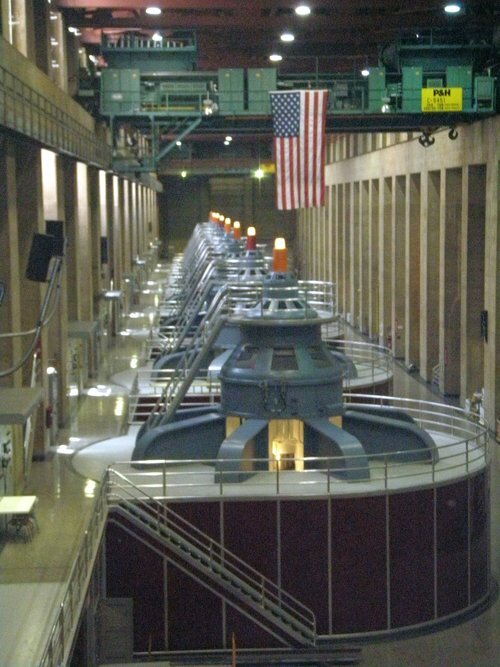 The two tours offered are the power plant tour, a 30 minute tour for $11 and the Hoover Dam Tour, an hour tour for $30. The parking garage is open from 8am to 6pm and is $7. Note they only accept cash at the parking garage. Tagged group travel problems, hoover dam tours, traveling with friends, visiting hoover dam. Bookmark the permalink.